I must agree with her. 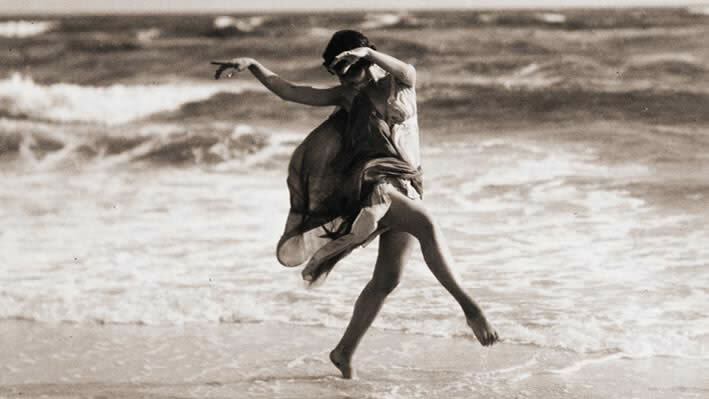 Isadora Duncan belongs to the last century, yet her energy and credo about dance and life in general are more than ever contemporary. She re-invented in a personal & original way what stiff ballet meant to society then. Afterwards, she taught other girls („Isadorables”) that dance is a self-interpretation of a set of standard rules, with beautiful results. And dancing knew a whole new age. She danced loose, bare feet and interpreted each sound through the moves of her gentle body. She loved the great Russian Esenin. And she lived. Truly lived.